Oh, Rush. You’ve done it again. One could build a fairly comprehensive and accurate dictionary just by taking the definitions you give to words that you don’t understand, and writing the opposite. Now, as fantastical as this statement is, I believe there is an explanation. To be fair, I am sure you are far too busy popping pills and divorcing wives to do all of your own research, and I’m guessing that one of your minions googled “pantheism” and was led to a website for the World Pantheist Movement. Seems like a good place to start a fact-finding mission –a group that infers it represents the wide world of pantheism…well, not so much, I’m afraid. What the WPM promotes is more accurately called “religious naturalism,” a deep sense of awe and reverence for/connection with Nature itself (which includes the cosmos, as the earth is not a closed system), and a disavowal of the supernatural as an explanation for phenomena we experience. (Nature, we like to say, is super enough.) 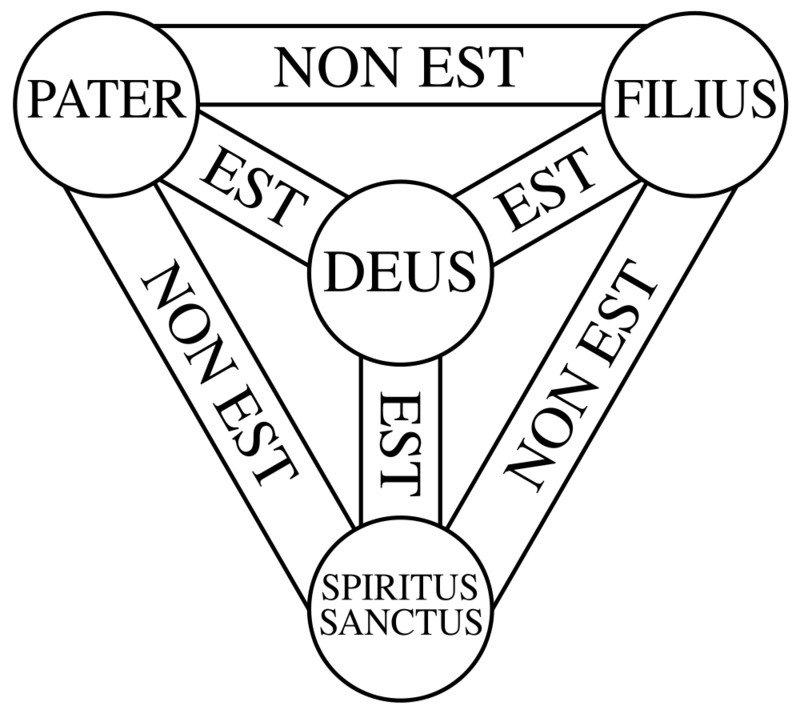 This is an aspect of most people’s experience of pantheism, as Trinitarianism is an aspect of many branches of Christianity. But just as you can’t learn much about the nuts and bolts of Christianity by studying the Trinity alone, WPM’s version of pantheism doesn’t tell the whole story either. I can understand how a quick glance at the WPM site would create the impression that all pantheists fit the atheist/neo-pagan dirt-worshipping treehugger cliche you abhor. Even so, your Young Republican intern had to read very carelessly and use A LOT of repressed imagination to conclude that WPM promotes the idea that the earth has a cerebral cortex, or that the earth by itself is a deity to idolize. Personally, I would have the poor kid sacked; not the kind of researcher a credible news source ought to be using. But I can’t tell you how to run your radio empire (and his shoddy work seems to be the rule at Excellence In Broadcasting rather than the exception). What I will do instead, in the tradition of the successful “____ for Dummies” book franchise, is offer this brief primer for you to share with the folks you affectionately call “Dittoheads:” the “Rush said it, I believe it, that settles it” crowd who you cultivated to revere you as a prophet. There are probably a great many Dittoheads out there who are misinformed about pantheism now, and I’d appreciate your help in correcting this. In pantheism, God is both the Dancer and the dance. We can never observe this God as we observe a dancer dancing though –not because it is supernatural or invisible as theists propose, but because the observation includes the observer. We can’t step out of existence and observe existence as a whole. We can’t even look directly at the back of our own heads, let alone at a totality that includes all of ourselves. We are part of the God we seek. Largely because of its roots in cultures preceding and generally foreign to our own, pantheism suffers a bit from a perceived exoticism, or a notion of some “out there” philosophy dug up by New Agers from the crypts of history, automatically irrational and inferior to the dominant paradigm of our era. In reality, pantheism is as simple as learning to simultaneously see the forest and all the trees. And it doesn’t need to replace Christianity as a religious worldview –in fact, by the time this piece is done, I hope to demonstrate why I believe pantheism is a necessary condition for the fulfillment of Jesus Christ’s gospel, the product of what Christians call “metanoia.” Strange as it may seem, pantheism shows us the alpha and omega of not only the Christian religion, but all major religions at once. 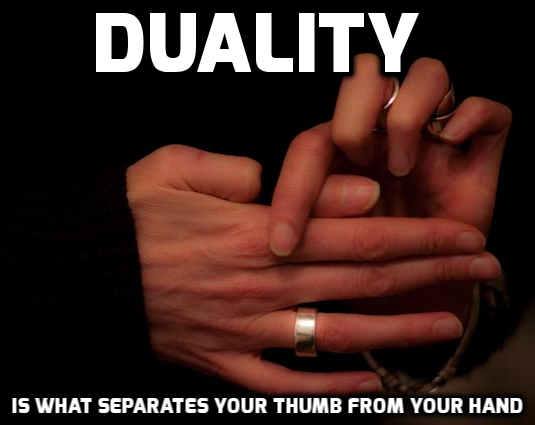 Non-duality can be further explained with a simple analogy. Right now as I write this, I am in a place called Enfield. But I am also in New York. There is no contradiction in this because Enfield is a part of New York; New York doesn’t begin where Enfield ends. There is a non-dual relationship between them. Now I’ve left Enfield and driven home to Ithaca, crossing a boundary line between them…but I never left New York. This is less obvious than the previous example, but the relationship between Enfield and Ithaca is also non-dual, because both towns are not just themselves alone –they share a co-identity as New York. New York unites what on the surface appears to be two separate entities, but are really just two aspects of New York. This is an example of Dual Aspect Monism. 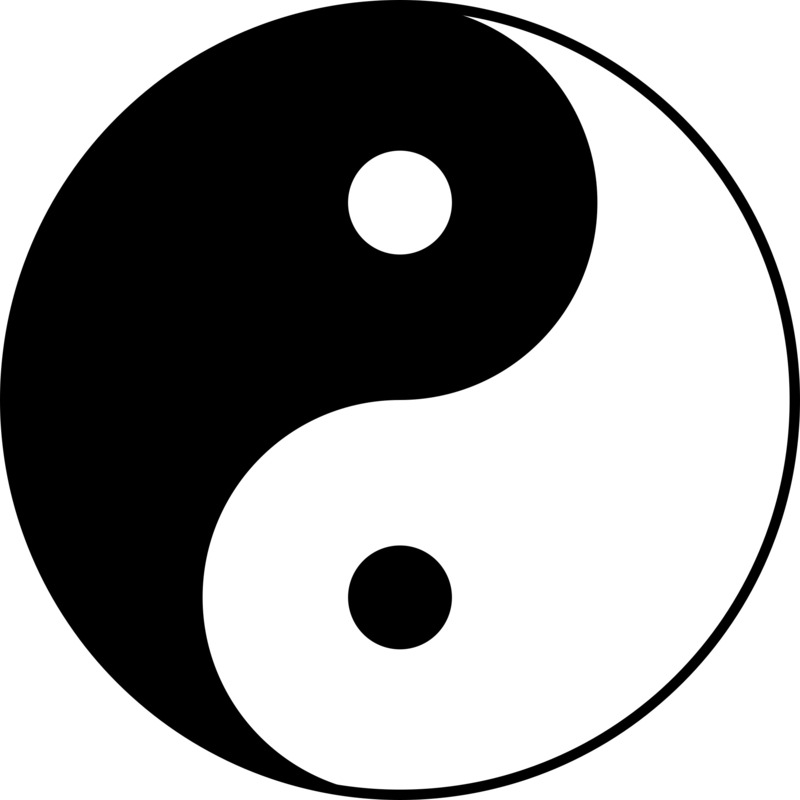 The best known model for this is the yin-yang symbol from Taoism, a philosophy that dates back to pre-Common Era China. The black and white portions of the symbol contrast with each other, but together they comprise a seamless whole called Tao. There is another model of dual aspect monism even closer to home though. It is important to note that “dual” does not mean the logic is limited to two components; this is simply the threshold at which what is one can appear to be multiple –or “legion” if you prefer some gospel lingo– but in truth can be reconciled as a unity. Add a third component –how about the town of Ulysses, New York– and now you have the logic of the Trinity. If you can understand and accept how “three-in-one, one-in-three” works, you can understand non-duality. But why stop at three?!? Throw all the towns and cities and hamlets of New York into the mix –they are all made One by the greater co-identity. There is no real limit to the number of components that can make up a monad. Imagine that: By contemplating the mystery of the Trinity, Christians are preparing their minds to grasp pantheism! But it isn’t a mystery –or I should say, it is only a mystery to the mind confounded by dualism, by the idea that reality is built like language with discrete and separate packets of existential integrity in the way that subjects and verbs and objects build sentences. If “God” can be such a subject or object, the dualistic mind reasons, it must signify something that can be separated from other things with distinct meaning. But reality isn’t built of separate parts like a car on an assembly line, or like a sentence with distinct words. Your body wasn’t made by a separate creator who put together a head, a torso, two arms and legs etc; your body grew those parts from its origin as a single cell. Parts are creations of the whole. God grows us the way you grow neurons and taste buds and fingernails. Non-dual logic, in other words, shows us that it is possible (in fact, inevitable) for anything to be the forest and the trees. Pantheism takes that logic to the infinite degree, and shows that what creates and sustains and dissolves and recreates all things in the universe is precisely HERENOW, and you are That.